Atlas Properties is a premier full service property management company with over 35 years of experience in buying, selling, leasing, managing and developing residential and commercial property in Southern California. The company is based out of Laguna Hills, CA, with a leasing office in Moreno Valley. As a property management firm, we understand that income property is much more than a simple investment. 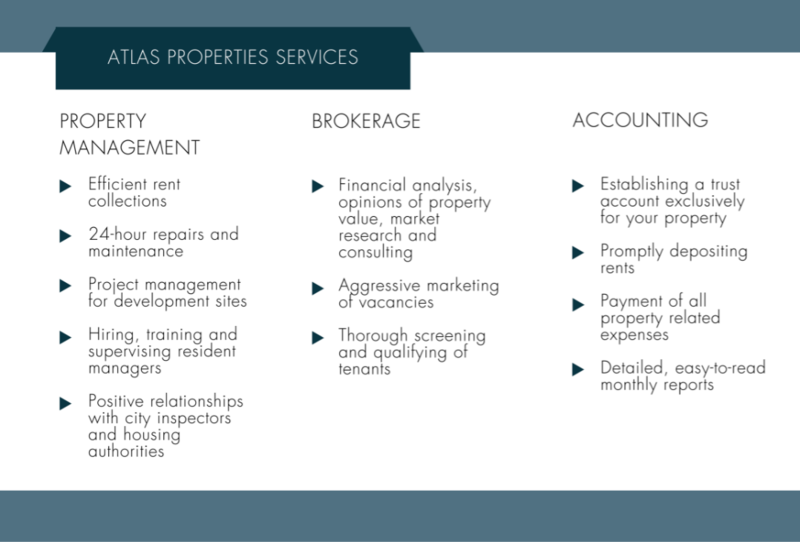 Atlas Properties handles all aspects of managing real estate, including bookkeeping, accounting, maintenance, repairs, legal work, billing, construction management, brokerage, leasing, and buying or selling. Our large portfolio of income-producing properties ranges from single-family residences, custom homes, commercial properties, shopping centers, to lifestyle centers.